Accompanied by your tour guide, you commence the day leisurely cycling along country roads witnessing local Vietnamese rural life first hand, discovering all manner of photo opportunities - coming and visiting a beautiful organic vegetable village, watering and planting vegetable, hoeing a soil with local farmer, riding a water buffalo in a rice paddy field; seeing ducks swimming along the rice farm or farmers tending their crops. The photo opportunities are endless. As well you will experience the friendliness of the local people greeting you along the way. Later you will board our Jack Tran's boat for a river cruise to meet and engage with local fishermen and enjoy a hands-on experience of traditional net fishing. You will also experience paddling the unique Vietnamese bamboo basket boat while the waterways of coconut palm paradise. This tour provides you with a cultural window into the ways of life of both our farming and fishing communities. 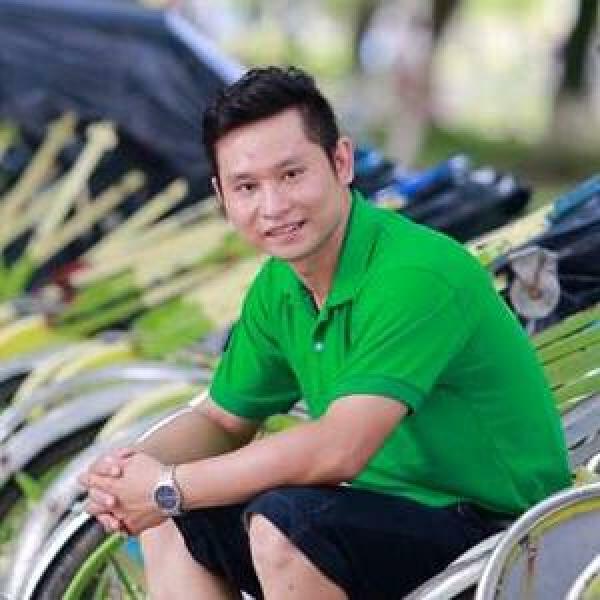 You will be picked up at hotel by Jack Tran's guide and Jack Tran's driver on a mini-van and then you will be transferred to Jack Tran's bike station in the countryside to start your biking route. Cycle to a local farming village traveling along picturesque country roads (If you don't know how to ride bicycles, please use our scooter "XE OM" services and you pay the extra 140,000 VND). Board the Jack Tran's boat and cruise to the mouth of the river where it meets the Cua Dai Sea. Learn and try your hand at local traditional fishing techniques using round and cast nets. Jungle walk and join for a mock battle with mud attack for fun. Back on-board our Jack Tran's boat, enjoy lunch/dinner (morning time you will get lunch and afternoon time you will get dinner on boat) and cold beer or soft drink. Return to hotel by Jack Tran's mini-van.